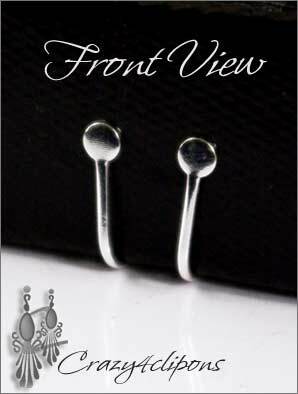 Features:These clips are a combination of hinged and screw back clip earring findings. 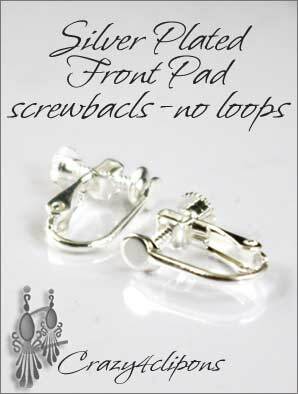 Small 4mm pad is perfect to attach small cabochons, flat-back rhinestones and other beads. Smooth, no loops. 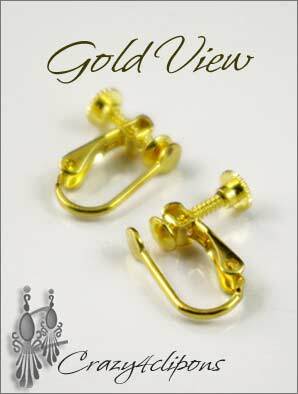 Excellent choice to repair or make your clip earrings. 6 pairs = $19.95 - you pay for 5 pairs and receive one pair FREE! 12 pairs= $39.99 - you pay for 10 pairs and receive 2 pairs FREE!